Arvid is the department manager for projects at Eldor AS. He has worked in the Automation Industry for over 20 years, the last 10 years in the Oil and Gas industry at Eldor AS and ABB Oil and Gas, within: Project Management, Alarm Management. Programming, Offshore Commissioning and Security for Onshore Control Centre. Our Alarm Management team has been working on Goliat in Hammerfest this week! Monday 8th to Friday 12th of April, the Alarm Management department in Eldor was in Hammerfest and did the first WS for the Goliat Alarm Rationalisation pilot project. New exida Alarm Practitioners in Eldor! 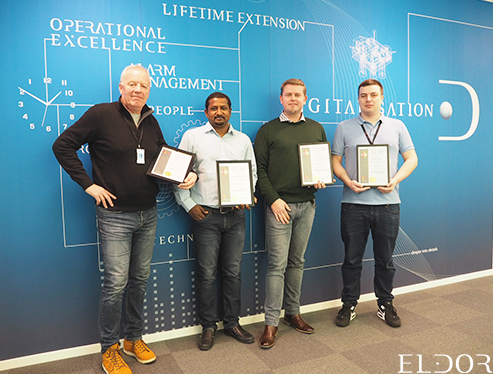 We would like to announce that we have completed Alarm Management training by using the exida company, and that we have several new exida alarm practitioners (AMP) in Eldor. The courses from exida were developed to teach end users, integrators, suppliers, and regulators about the different standards applicable for alarm management, including ISA-18.2 and IEC 62682 and how you can apply them in real-life situations.